Tax-Exempt Organizations: Serves as counsel for various tax-exempt organizations, including public charities, private foundations, trade associations and social welfare organizations. Work includes exempt organization tax and governance issues, contractual matters, major transactions such as mergers and legislative work. Assists tax-exempt organizations with various tax issues including organization and obtaining exempt status, maintaining exempt status, and compliance with the Intermediate Sanctions provisions, private foundation excise tax provisions, unrelated business income tax, general excise tax and charitable giving rules. Governance work includes advice in the implementation of the latest standards and best practices in nonprofit governance and advice regarding donor intent and endowment management. Has obtained private rulings from the IRS and the State Department of Taxation on various matters, including private foundation excise tax and unrelated business income tax issues. Corporate and Business Law: Represents buyers and sellers in various business transactions including stock purchases, redemptions, mergers, asset sales and purchases. Representative transactions include acquisitions or changes in control of an airline, a real estate holding company, an apparel company, a sporting goods retailer, an industrial parts supplier, a savings bank, various agricultural businesses, wholesalers, retailers and professional practices. Mr. Piper was born in Honolulu, lived in California and attended school for a brief time in Italy. While in law school, Mr. Piper served as an extern for the Honorable Aulana C. Peters, a Commissioner of the Securities and Exchange Commission. 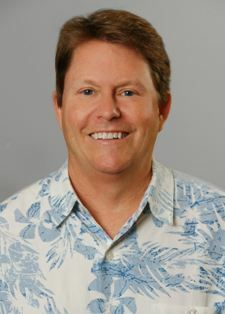 Mr. Piper has served as Editor for the Hawaii State Bar Association's publication "It's the Law What Nonprofit Organizations Need to Know." Mr. Piper has been selected by his peers for inclusion in The Best Lawyers In America under the categories of taxation and nonprofit organizations. Mr. Piper's outside interests include surfing, hiking, coaching youth soccer and playing masters' soccer. Mr. Piper is married and has three children.